Like Dorothy in the Wizard of Oz, we are on our way home. We are looking forward to hanging out in our old life for most of the month of April. We are especially looking forward to seeing Archer, Natasha and Seth and friends we left behind. 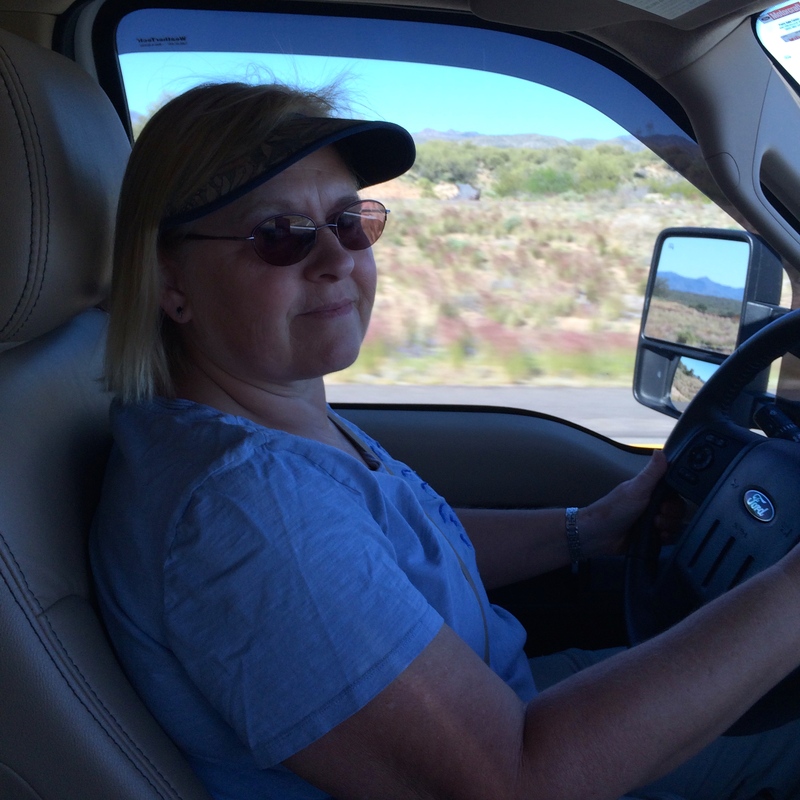 We left Arizona behind and had a brief stay in St. George, Utah. Nothing of note to tell you about except that I drove part way. For those keeping track, that is the second time! 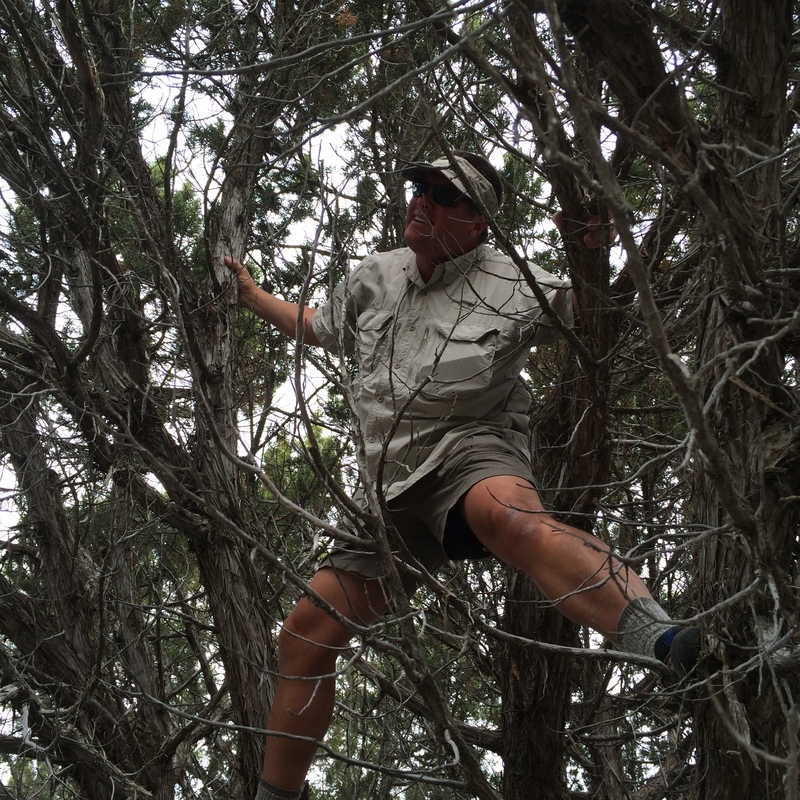 We didn’t see any lions and tigers and bears (oh, my!) on our trip but we did see bison! 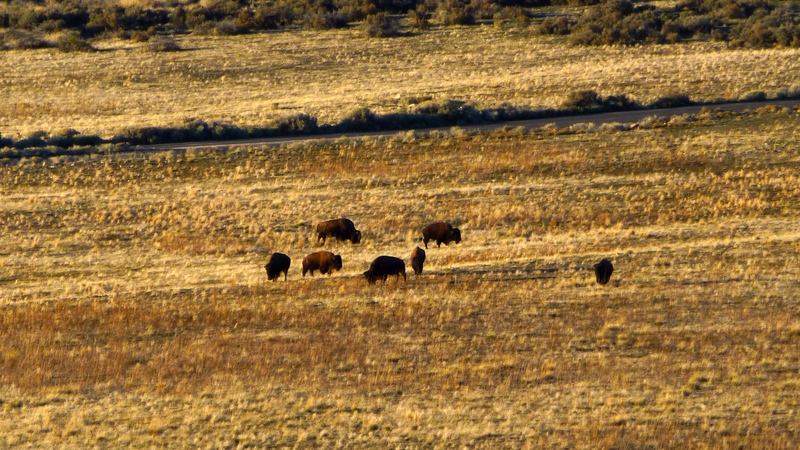 We saw lots of bison (and even one lone antelope) at Antelope Island State Park. 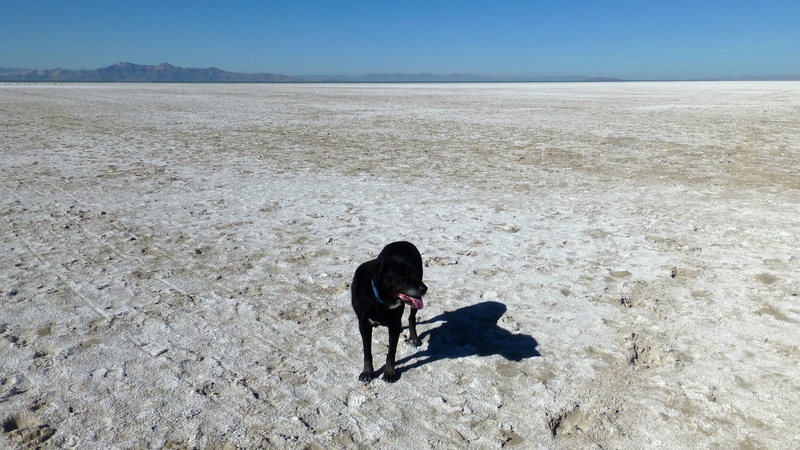 Antelope Island sits in the Great Salt Lake and is accessed by a 7 mile causeway. The services are limited in the campgrounds (none!) but the scenery and the animals were very interesting so we were glad to have a short stay. 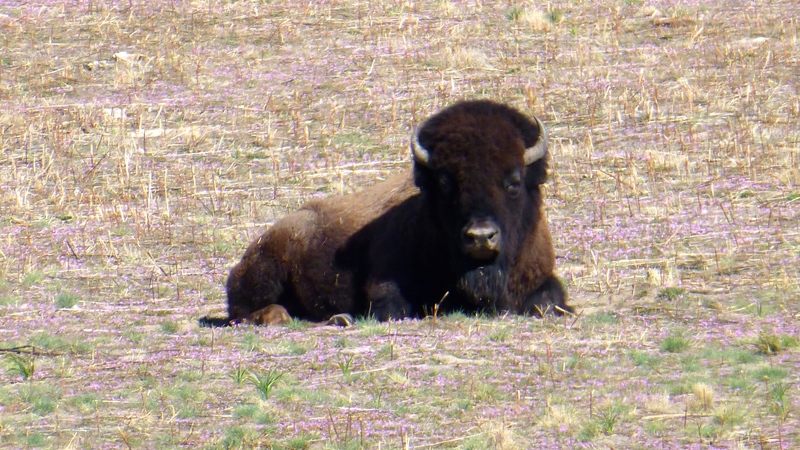 We learned that using the name buffalo is incorrect for the North American bison. Buffalo are their distant cousins, the cape buffalo in Africa and the water buffalo in Asia. 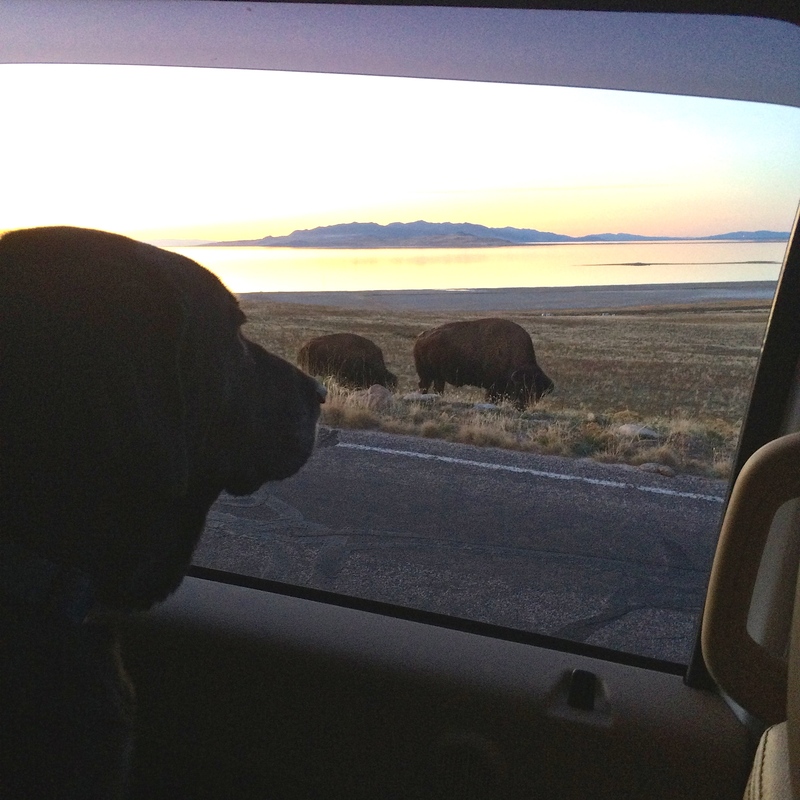 The bison herd on Antelope Island began with the introduction of 12 animals in 1893. There was a huge hunt in 1926 but enough animals survived to re-establish the herd. Currently the herd is maintained at approximately 550 animals. I asked about beginning with such a small genetic pool, and was wondering if they brought in other animals to expand the DNA. I was told that the herd is 99 percent pure and they are actually trying to increase the purity. Every bison on the island has been genetically identified and there are two males that have a small amount of bovine DNA. Those two males are not going to be allowed to breed during mating season. 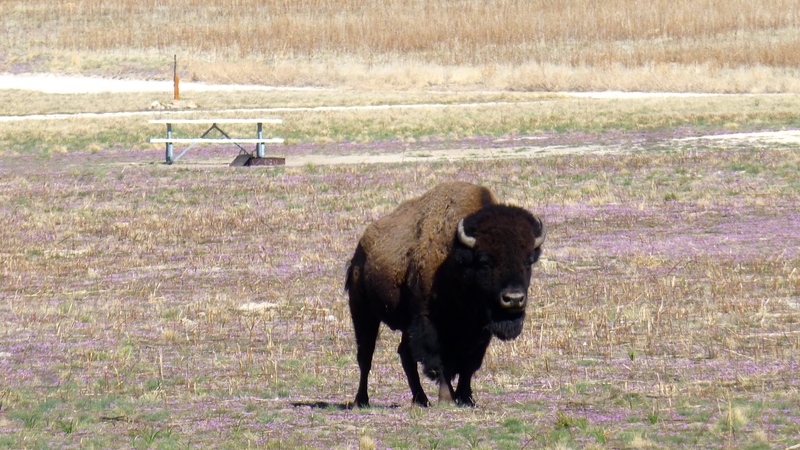 Even though the island is named for the antelope, the bison are the stars. They are everywhere. They go where ever they want to go, even right through the campground. He also didn’t know what this funny sand was, and why dad wouldn’t let him go swimming in the lake. 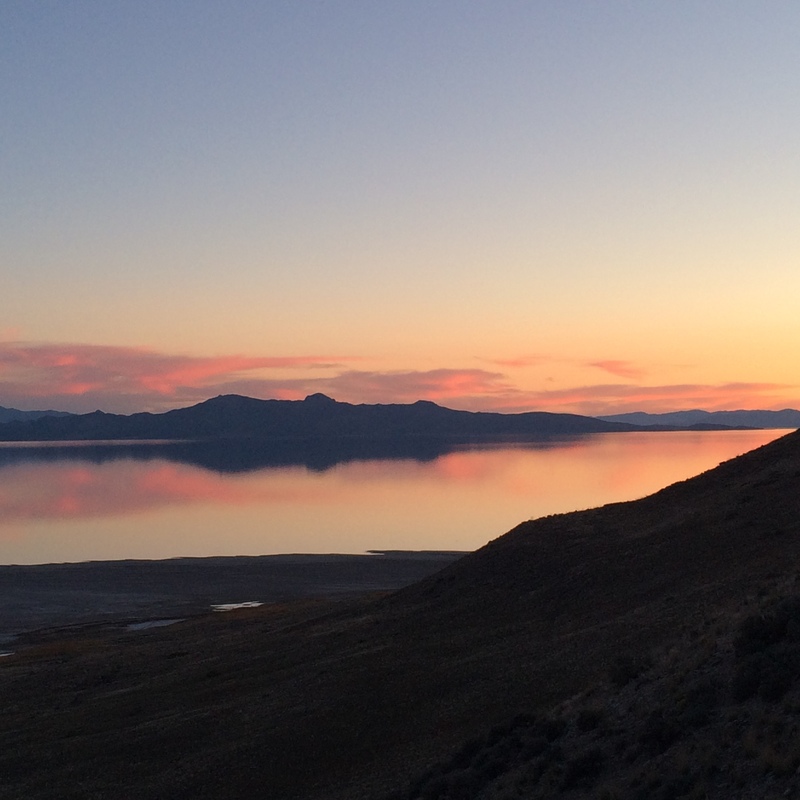 Antelope Island is the largest island in the Great Salt Lake, which is the largest lake west of the Mississippi. 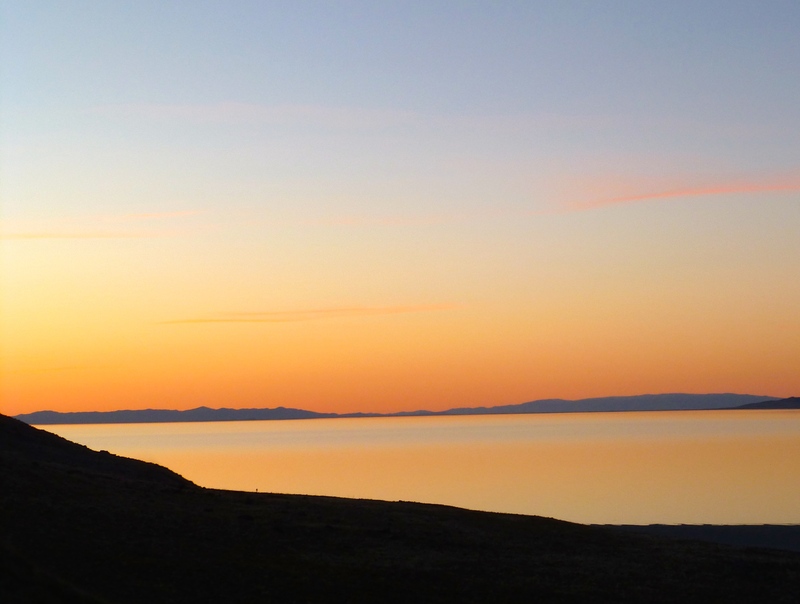 We enjoyed a nice sunset during our evening on Antelope Island. At the south end of the island is the Fielding Garr Ranch, currently a ranch museum operated by Utah Parks. Garr was assigned to establish the ranch to manage the Mormon Church’s tithing herds. It operated in this capacity from 1848 to the mid 1870’s. 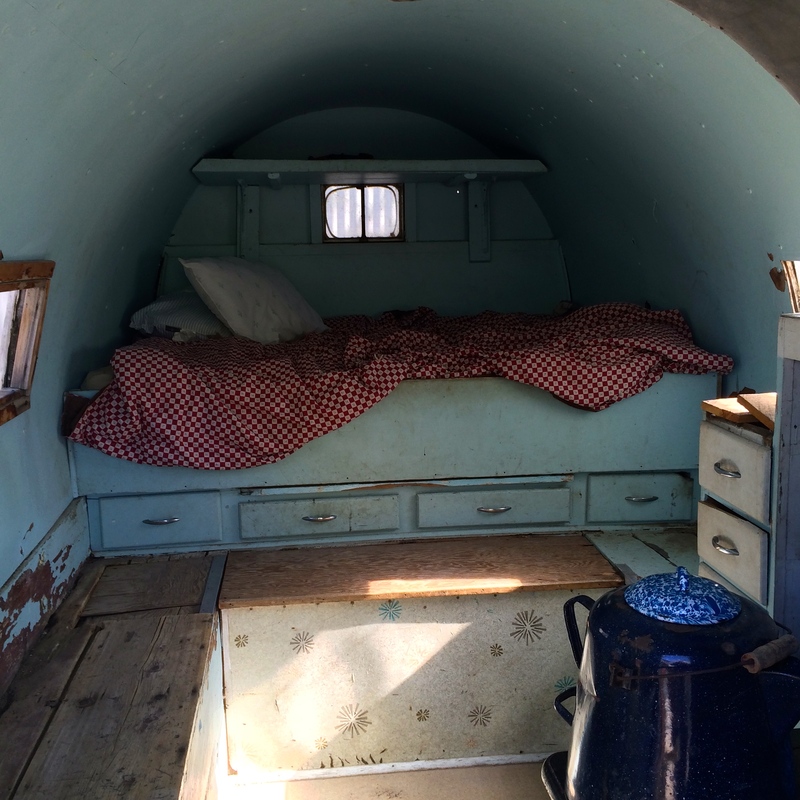 At other times it was operated privately for cattle, bison and sheep. There is a sheepherders wagon on display. I like my RV better! As much as we enjoyed the island, it was time to continue on down the yellow brick (lined) road towards home. 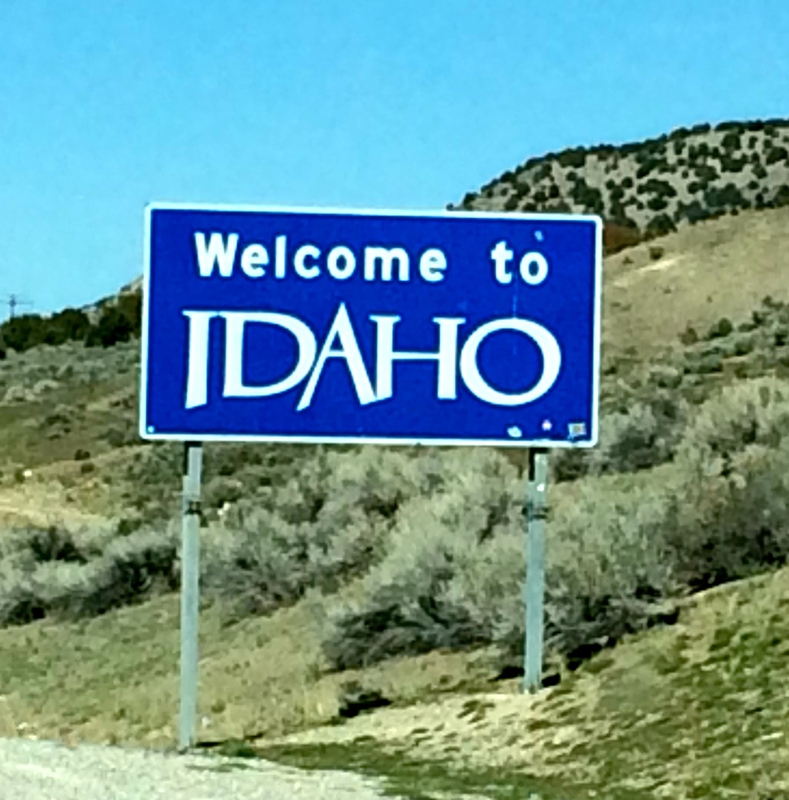 And we made it back to Idaho! 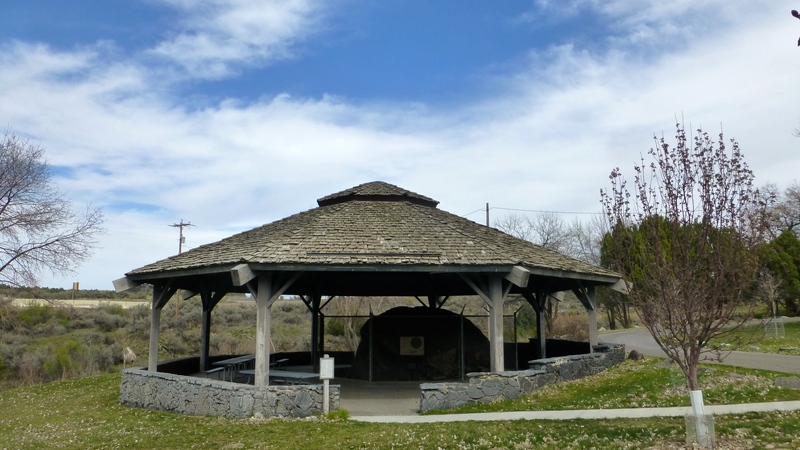 We are staying two nights at Massacre Rocks State Park – one of the few Idaho State parks we haven’t been to before. 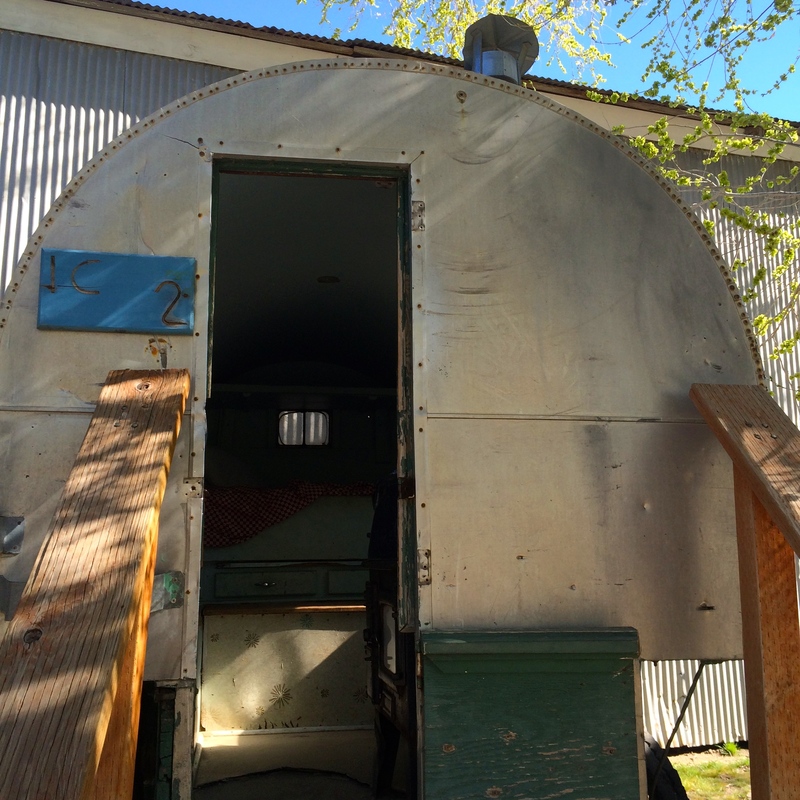 As future Idaho camp-hosts, we are even getting to stay here for one night free! The name came from Oregon Trail days when the narrow gap in the rock formations allowed only one wagon at a time to pass through. Additional information on the next blog titled Massacre Rocks. 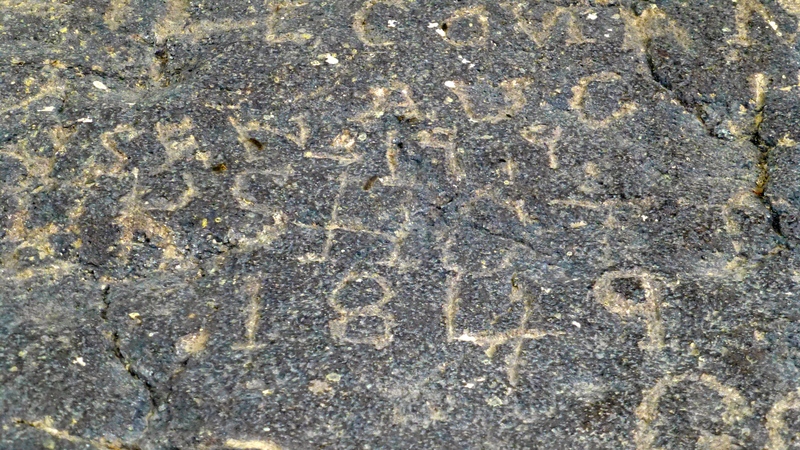 Nearby is Register Rock where emigrants carved their names and dates as they passed this area. The rock is now covered and protected and names are still visible. We attempted disc golf. 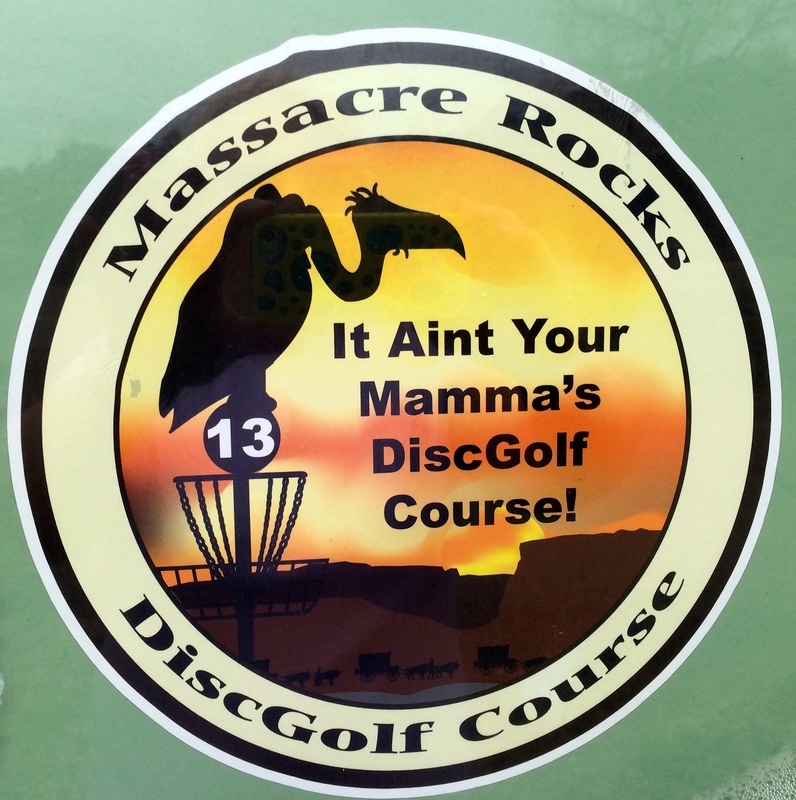 They advertise that it is not your momma’s disk golf course, and we believe it. 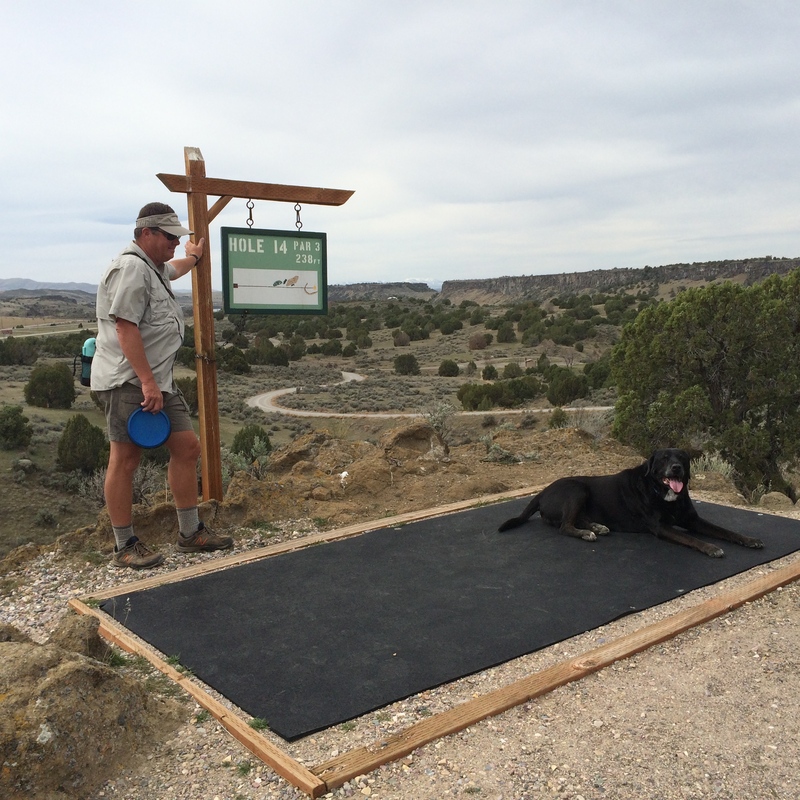 It is really a hike where you get to rest once in a while to throw, or find a disc. Elko came along and loved finding our errant throws – mostly mine! By the time we got to the 14th tee, he was ready for a rest. Randy had one impressive errant throw! 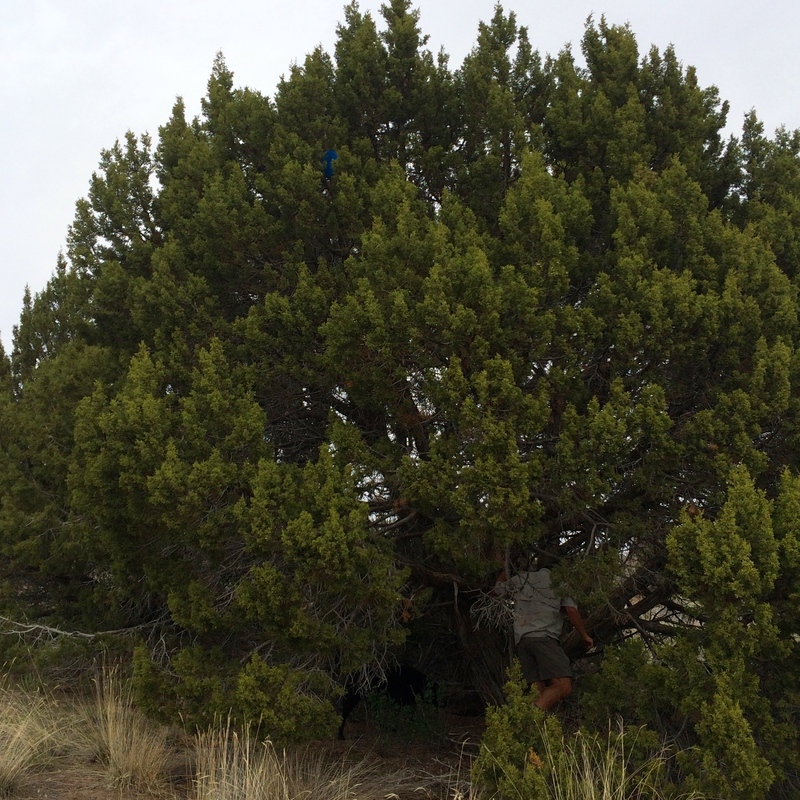 His blue disc is barely visible in the tree towards the top just left of center. He had a really bad lie for his next shot! Tomorrow we have the final stretch back to Boise. To those of you there, we can’t wait to see you! We have been blessed to go to some pretty amazing places but, as Dorothy knew, there’s no place like home. I’d love to get together – you might have to come to me or pick me up, dealing with just one vehicle will be a challenge! Glad to have had you along! So happy to hear you are going to be “home”! Wow I just love reading your stories, they are just beautiful, you guys looks great. Thanks Rosa! We’ll be looking forward to seeing you next winter in Tucson.